On the Web - EB Morelia gives us a breakdown of the carpet python complex as well as a guide to carpet python base morphs. Reptile Forums UK - Here is an excellent new thread explaining the different species of carpet pythons, as well as the various morphs found within them. Lots of beautiful pictures, too. On the Web - Hesham Elleisy of Magic Carpet Python discusses his carpet python projects for this season. 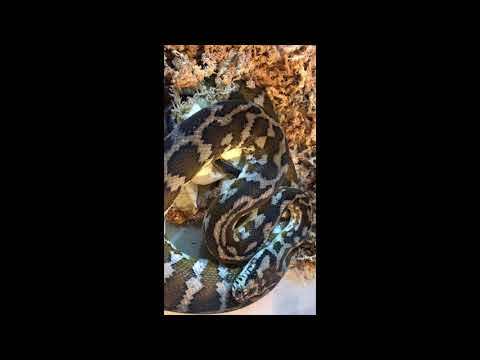 YouTube - EB Morelia shows us the results of a maternally incubated clutch of Papuan carpet python eggs. 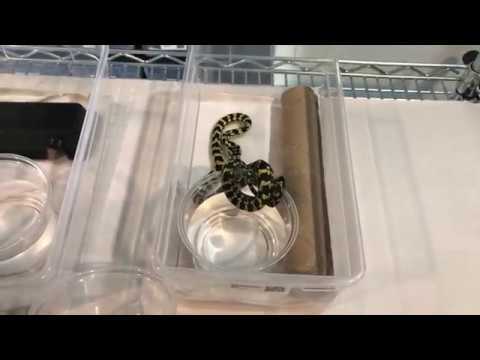 YouTube - Eric Burke of EB Morelia shows us how he sets up his baby carpet pythons in this great video.